Once an imperial residence, the palace of the Forbidden City had an inner and an outer court. While the outer court was for official business, the inner court held the royal family’s personal living quarters and gardens. Visitors can now enter these once-private areas, to see how emperors lived until the 1720s. Once truly forbidden to the everyday visitor, the Inner Court is now open to the public. You’ll find three halls similar to those found in the outer court. The Palace of Heavenly Purity was home to the emperor, while the Hall of Union houses the throne of the empress. The third hall, the Palace of Earthly Tranquility, contains an imperial bedchamber of the empress. Behind it all sits the Imperial Garden. Access to the Inner Court is included in admission to the Forbidden City, but it’s a good idea to join a guided tour to gain insight and historical context. Most private and group sightseeing tours of Beijing visit the Forbidden City; choose one with the length, itinerary, and mode of transportation you prefer, whether it’s a half-day bike tour or a multi-day excursion in a private vehicle that also visits the Great Wall of China. The Inner Court is a must-see during a tour of the Forbidden City. Wear comfortable shoes; the palace grounds are massive and walking surfaces are often uneven. 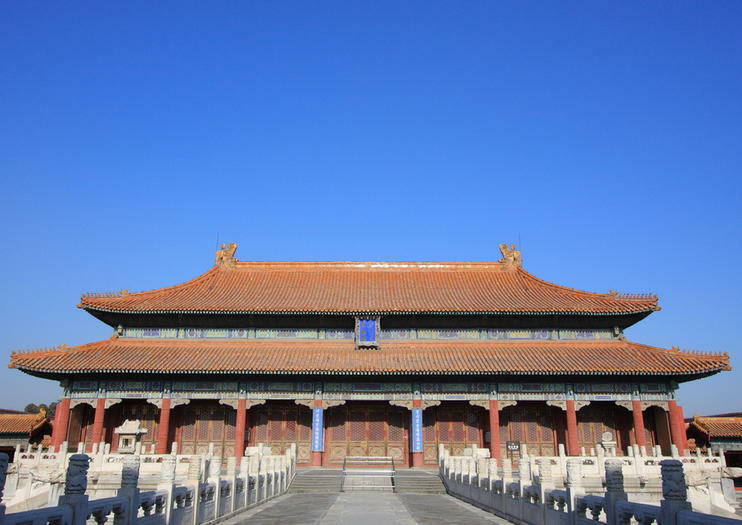 Give yourself at least half a day to explore the Inner and Outer Courts of the Forbidden City. The Inner Court is located within the UNESCO World Heritage-listed Forbidden City; get there by passing through the Gate of Heavenly Purity. The palace sits in the center of Beijing, just north of Tiananmen Square. The closest subway stop is Tiananmen East Station. The Forbidden City puts a cap on the number of visitors each day, so it’s a good idea to show up with a prebooked tour or first thing in the morning when the ticket office opens. The entire complex, including the Inner Court, is closed Monday. It took 14 years and a million workers to build the Forbidden City, which served as the royal seat for 492 years. Two dozen emperors called the palace home. The complex comprises 980 buildings and more than 8,700 rooms, making it the largest imperial palace in the world. Today, some 14 million people pass through its gates each year.